Cuddy Group is one of the UK’s leading multidisciplinary contractors servicing primarily the construction and development industry. Specifically, the business is a specialist contractor for demolition, asbestos, land remediation and civil engineering. It is also an expert demolition company with engineers and demolition experts who have worked on some the UK’s biggest projects providing us with ‘Demolition Contractor of the Year’ award. In 2011, they won the ‘Best Use of a Combination of Remediation Techniques’ at the Brownfield Briefing Awards. Since the company’s inception, Cuddy has achieved solid growth and a reputation for being the best in the industry. Renowned for tackling challenging construction specifications, Cuddy’s team of experts can design and deliver innovative project solutions safely, cost-effectively and in the most environmentally sound ways possible. 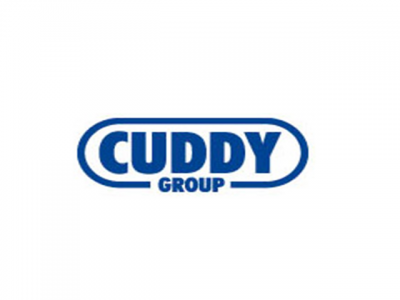 Despite continued difficulties within the wider construction and demolition industry, Cuddy’s dedication to enhancing its scope of services, safety standards and use of innovative technologies has never faltered. As a result, Cuddy is now the ninth largest demolition contractor in the world. Its latest project is in Caerphilly, where Persimmon Homes have asked Cuddy Group to undertake the remediation of an abandoned factory to pave the way for a residential development. Joint managing directors Mike and John Cuddy took over their father’s plant business, and utilised their knowledge of the construction and demolition industry to form Cuddy Group. Acknowledging the need for a dependable, safe and cost-effective contractor in South Wales, the company grew to become the first name on everyone’s lips when undertaking a civil engineering or demolition project within the region. Over time though Cuddy’s reputation grew and the team soon travelled beyond the Welsh border to undertake projects throughout the UK. Since the company’s inception Cuddy has battled hard to change perceptions about demolition. Many people wrongly believe that this area of engineering lacks skill, discipline and standards, whereas in truth the safe delivery of challenging demolition projects requires utmost attention to detail, highly technical know-how and an on-going desire to innovate. Because people don’t always realise the level of skill and precision involved in demolition, projects are often scheduled inappropriately. Clients have traditionally underestimated the level of preparatory work needed to design appropriate methodology for demolishing structures safely but at the same time in cost-effectively, and this has posed another major challenge since the company was formed. This still remains a significant challenge today, but as Cuddy’s reputation and industry presence has grown, the team has taken an ambassadorial stance in an attempt to educate clients as to the importance of early project involvement and considered project scheduling. Over the last two years Cuddy has worked hard to develop the land remediation side of the business, and as a result the team is now working on some very prestigious, high-value projects. Cuddy’s multi-disciplined expertise means that the company can offer clients a ‘one-stop-shop’ when it comes to high quality, value-adding and flexible service across the areas of demolition, decommissioning, asbestos removal, land remediation and civil engineering. As this reputation has grown, Cuddy has undertaken an increasing number of international projects as well. Finally, despite economic turbulence and a lack of confidence in the construction and demolition industry, Cuddy has not cut corners. For example the team hasn’t dropped its prices just to secure work, as this could mean a potential compromise to safety or environmental standards. Instead Cuddy has focused on positive marketing and educating clients as to the benefits of early involvement. Cuddy’s hard-work and unswerving dedication to delivering customer satisfaction has meant that the company has not only survived, it has continued to prosper. Cuddy will focus upon this strategy to ensure the companies consistent growth and will continue to enhance its reputation as the best in the business, presenting clients with the reliability and transparency they require and the cost effectiveness they desire.